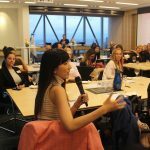 On Friday 24th November 2017, the Melbourne Lean in Chapter was proud to host our end of year networking event and panel discussion on “Negotiating and Handling Difficult Situations in Your Profession”. 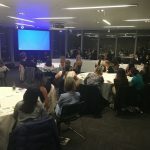 The event was sponsored by WGEA (Workplace Gender Equality) certified Talent International. Talent is an innovative technology and digital recruitment specialist, supplying thousands of contract and permanent technology professionals across the globe. 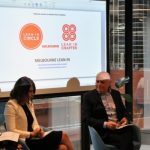 The panel discussion was chaired by Catherine O’Keefe, an associate from Corrs Chambers Westgarth who specialises in international arbitration in commercial disputes. The panellists discussed various issues faced by women in modern workplaces. These included gender pay-gap and sexual harassment. The panel provided practical and useful advice on how to negotiate effectively. How does gender play a role in negotiation? – Women can often be more in tune with their needs than men. Men can negotiate keeping money or commercial objectives in mind. However, women often think more about impact on their relationships due to negotiation. – Be aware of the assumptions in play between you and the other party. Challenge assumptions by asking questions which will help you find a creative solution. – Before approaching a negotiation, practice scenarios and your arguments with someone to get an objective perspective. – When someone is aggressive then it is also essential to take a step back. William Ury calls this “don’t react, go to the balcony.” Going to the balcony gives you a bit of fresh air and, potentially, a fresh perspective. Sometimes you can take the time you need to cool down and come back to a tense situation calmer and more creative. – Apply the 24-hour rule – don’t respond to something on a whim. Think about the options for at least 24 hours and then respond. – Prepare 3 key persuasive points. Proactively think about why the other party will say no and prepare answers in advance. Do women have to negotiate differently than men? – Not necessarily. The outcome of the negotiation depends on the person, their confidence levels and the kind of preparation they do. It is important to be as objective as possible whilst making an argument. For example, whilst asking for annual leave, mention that you have considered how your annual leave would impact project timelines and the general workload in that month (business needs). 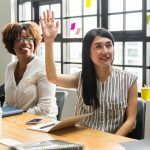 – Write 7 ways of asking Why and 7 ways of exploring an issue. How do you identify a ‘pay-gap’ in your organisation? – Identifying pay-gap can be difficult and employment contract might restrict salary discussions. Recruiters and unions can help you obtain information on industry standard salary range. Situation based question: I negotiate all the time for my company, but I feel really uncomfortable about negotiating this raise for myself. Any advice? 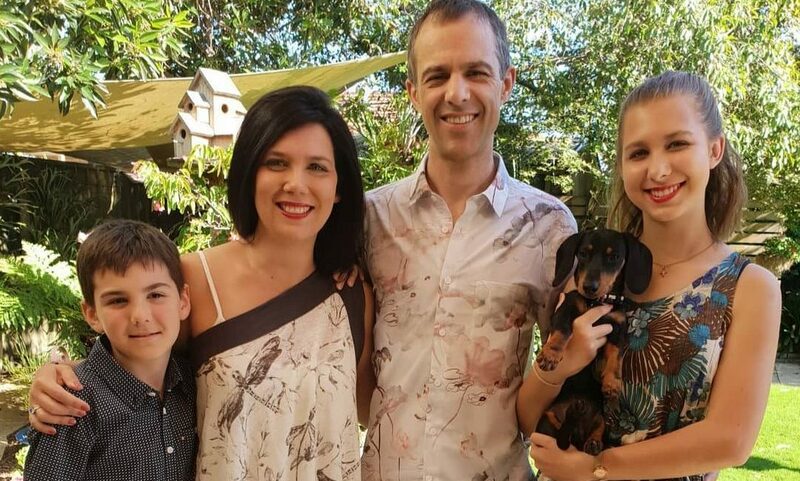 – Gender pay gap is a systemic issue. Until 1969, legislation allowed employers to pay women a minimum rate of pay that was 25% less than male employees doing the same or similar work. – For the pay gap negotiation, prepare bullet points or summary of your achievements and do the research of salary range in your industry. Negotiate your salary on merit and performance metrics. – Read your employment contract – are you allowed to discuss your and your colleague’s salary ? How do you handle sexual harassment and bullying in your profession? – Learn the legal definition of sexual harassment. The law focuses on the impacts on the individual (how behaviour makes him/her feel). Assess your own situation and impacts carefully before choosing your option. Check the free resources such as Fair Work Commission and Fair Work Ombudsmen. How to reduce risk of getting discriminated when you return from maternity/ parental leave? – Arrange ‘keep in touch days’ with your employer (can even negotiate paid days) where you can go in for one day a week to catch-up on emails and touch base with colleagues. Gender pay gap, bullying and sexual harassment are complex issues. There is a need for change at a societal level to create a culture where men and women are treated equally at work and at home. To facilitate this change, address systemic issues and minimise unconscious bias, it is important to have an open dialogue within organisations. Bullying and sexual harassments occur mainly due to a power imbalance. Gender pay gap can contribute to power imbalance both at work and at home. Women alone cannot fix these issues. More men, employers and politicians need to join this conversation. 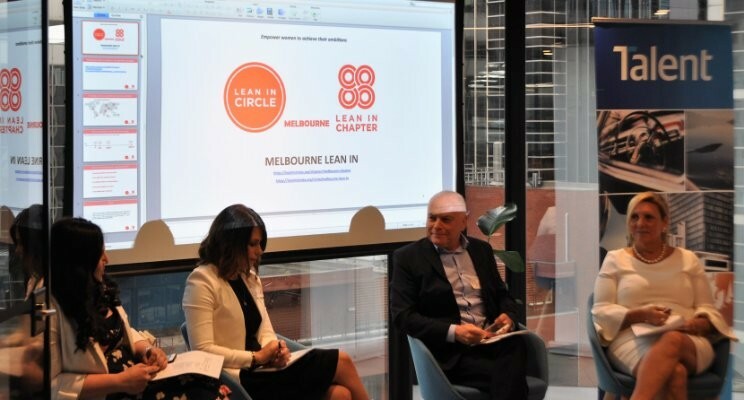 Join Melbourne Lean In Circle which aims to empower women to achieve their ambitions and get involved in an ongoing dialogue on various issues that affect women and our society.